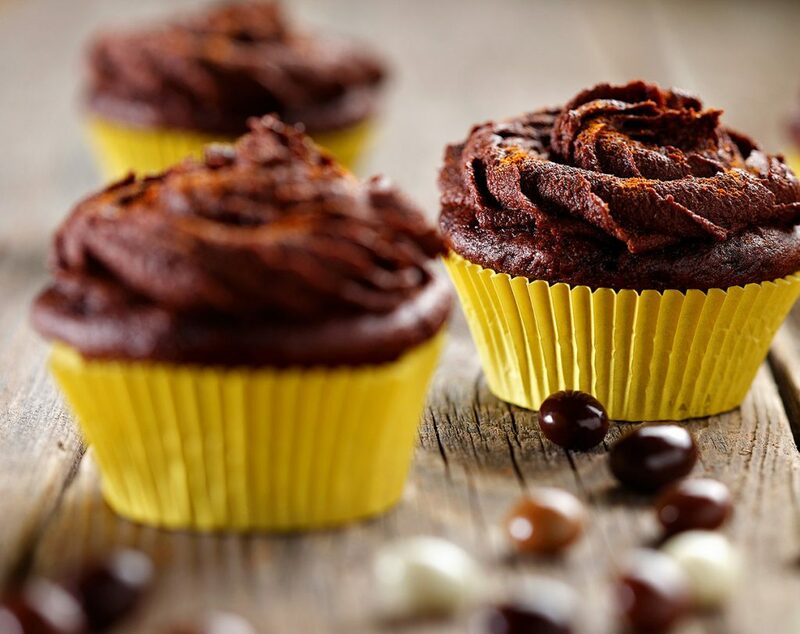 These Mexican Hot Chocolate Cupcakes are truly a chocolate lover’s dream. You’ll get the rich tastes of coffee and chocolate in every bite. The ganache cupcake filling made of semi-sweet chocolate and a pinch of cayenne pepper adds a hint of spice. They are topped off with a third dose of chocolate in the chocolate cinnamon frosting. Plus, they’re gluten-free! Baking with canola oil has its health benefits. Canola oil is light, doesn’t interfere with other flavours and reduces the trans and saturated fats in your baking, making it a heart healthy choice. In a medium bowl, combine sugars, flours, cocoa powder, baking powder, baking soda, xanthan gum, salt and cinnamon. Mix well. Set aside. In a large bowl, beat together coffee, sour cream, canola oil, eggs and vanilla extract. Add dry ingredients to wet ingredients. Beat until well combined, about 1 minute. Divide cupcake batter into the paper lined muffin pan 2/3 full. 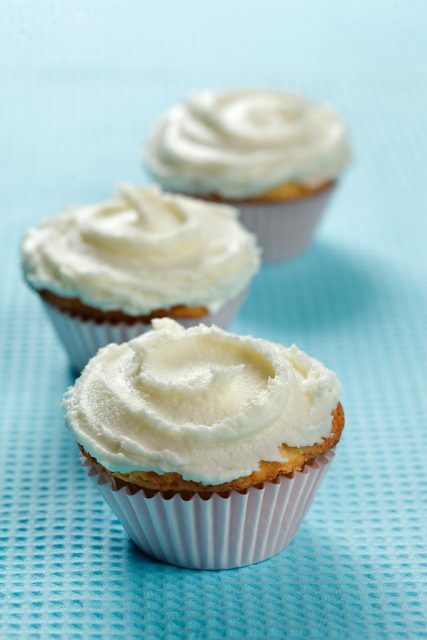 Bake cupcakes for approximately 20 – 22 minutes, or until a toothpick inserted into the cupcakes comes out clean. Remove cupcakes from pan and cool completely on wire rack. To make Ganache filling: In a microwave safe bowl, combine chocolate, heavy cream, honey, cinnamon and cayenne pepper. Microwave in 30 second intervals (50% power), until the chocolate has melted. Stir until the mixture is smooth & silky. Refrigerate the ganache filling for 30 minutes, stirring every 10 minutes. Using an apple corer or a paring knife, remove the middle of the cupcakes, being sure to leave the bottom of the cupcake intact. Place the ganache into a re-sealable bag snip off the corner, and pipe into the hollowed out cupcakes. Frost with Chocolate Cinnamon Frosting. Recipe follows. In a large bowl, beat together the margarine, confectioner’s sugar, cocoa powder, corn syrup, and salt, scraping down the bowl as necessary. Add the cooled, melted chocolate, and beat until fully incorporated. Pipe onto prepared cupcakes. Refrigerate cupcakes in an air-tight container for up to 3 days.